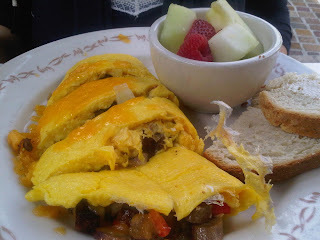 It was Sunday, a bright and beautiful day, we were in LA, our only concern where to have brunch this morning. 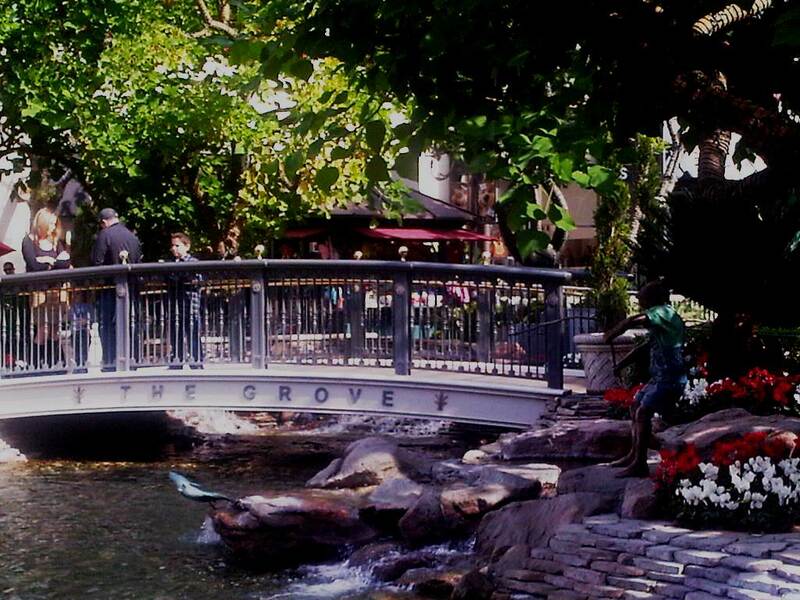 After not much deliberation at all, we decided to go to the Grove for breakfast, only a ten minute walk from where we were staying. Farm of Beverly Hills is Wendy's favorite restaurant there, with good reason. Not only does it have excellent food but it is also in the middle of the Grove, right by the fountain. The first thing that came out, with our coffee, was a wonderful coffee cake muffin that we devoured in five minutes and asked for more. 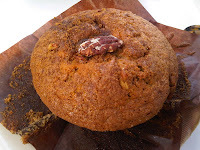 This is so fantastic that I can go back there everyday just for that muffin... it is also the best accompaniment for coffee. Mehmet ordered the Corned Beef & Potatoes that we all wanted in the end. 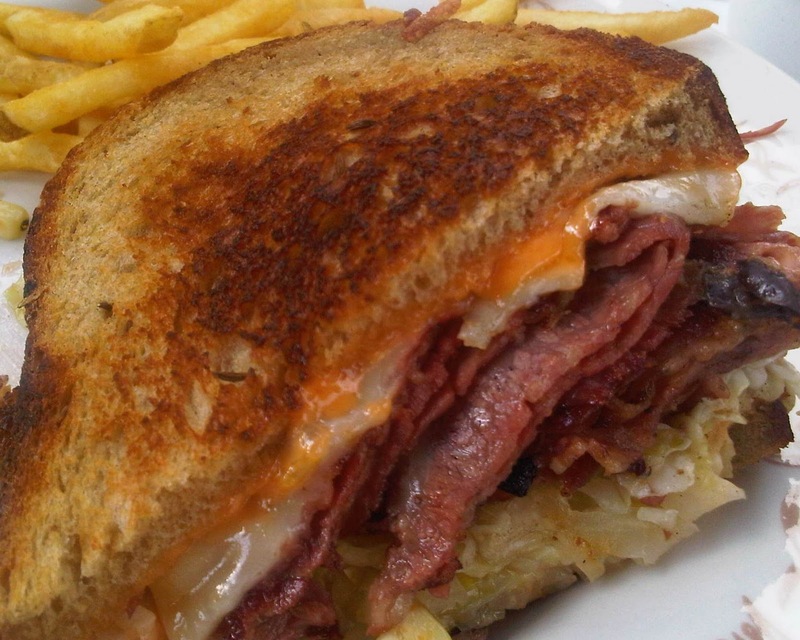 It was a great sandwich - a perfect combination. Wendy and I decided to share a California Omlet. It was good but I am not sure if I would order it again. I can only assume how good Murat's Belgian Waffle was, since it was finished within an heartbeat. 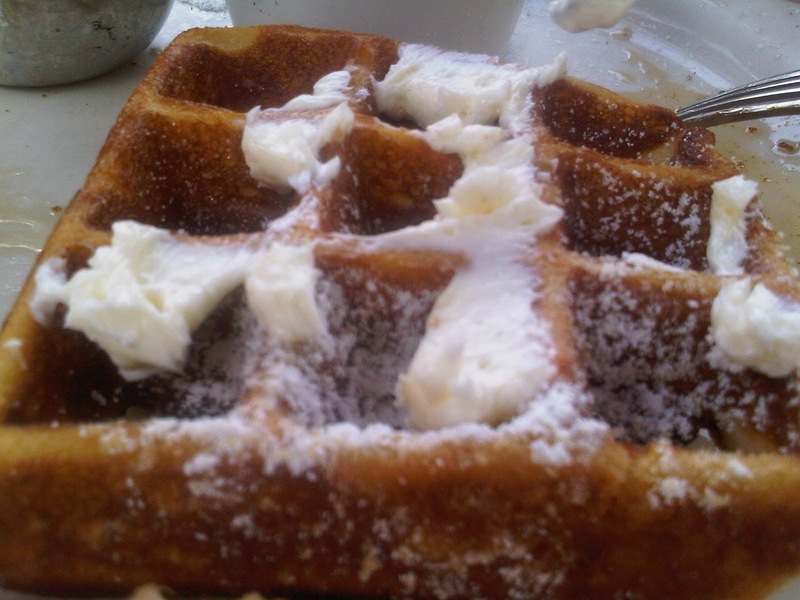 Farm of Beverly Hills turned out to be the best idea for a weekend breakfast. 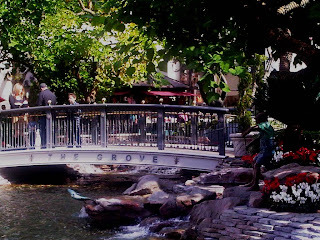 I would definitely recommend it for a sweet break to anyone who might be shopping, sightseeing or just hanging out at the Grove where parking is a breeze with lots of shops and attractions to spend a pleasant time relaxing.